If you are new to the entire car seating scheme, you should know that there are main three categories of car seats that focus on children and their different age, weight and height. These include rear-facing car seats, forward-facing car seats and booster car seats which are meant for children older than infants and toddlers (ideally between 4 and 8 years). 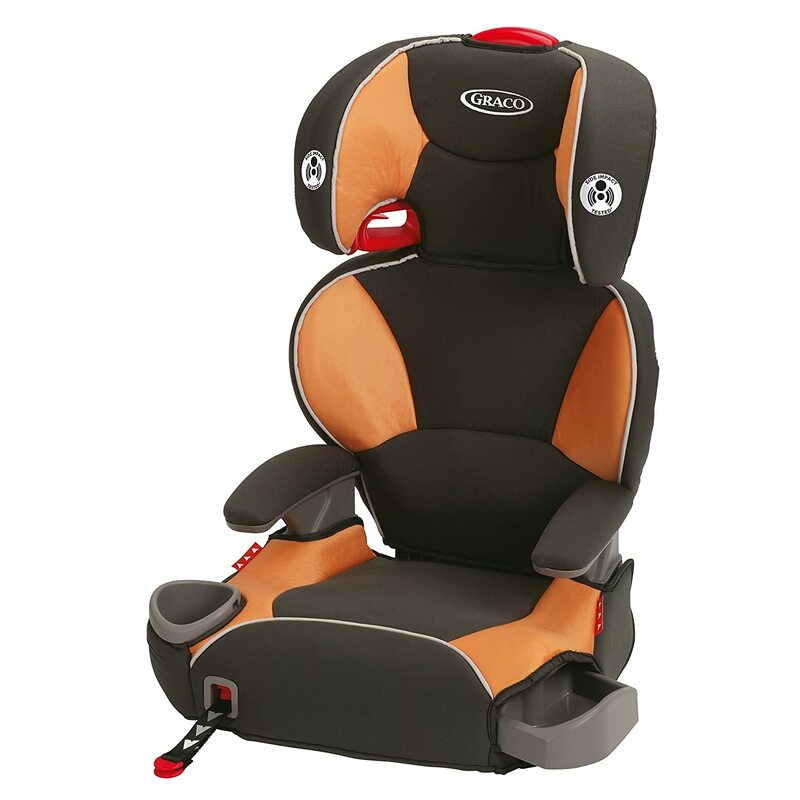 Essentially, booster car seats are known as backless or high-back ones. They aim to keep your children safe and sound while allowing them to look around and be active participants in life. These seats also help your children to feel more mature without compromising their safety. What’s also important to note about booster car seats is the fact that they have the maximum level of support and safety. They won’t harm the neck or chest of your child. However, putting your child in a booster seat too early may cause damage. When Does Your Child Need A Booster Car Seat? The moment your child reaches the maximum height and weight for the forward facing car seat is the moment when you should purchase a booster car seat. Age is not a clear indicator for the change here – but the overall weight and height. 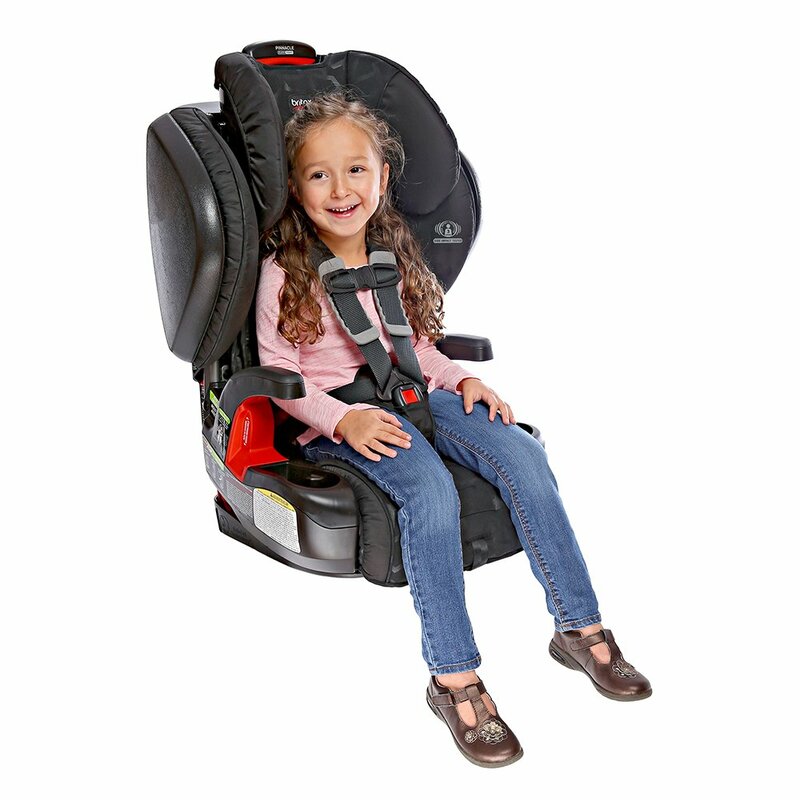 High-back booster seats – Supporting your child’s head and neck while providing room to move around their arms and legs. Backless booster seats – Aligning your child with the seatbelt system and the ideal option just before your children are ready to ride in a car without assistance. Below, we are listing the best booster seats you can find on the market. This is one of the booster seats that have an integrated belt positioning system. However, this system can be bought as separate too. Basically, the Britax booster seat is perfect for children that are at least 40 pounds (and not over 120) and within the 45-62” height range. Everything that is between these numbers will give your child the perfect position and make them move easily while being comfortable. What’s also important to note is that the entire system comes with different clips which means that you can move it in order to customize it to your child – but also your car. There are three main styles of this booster seat that fit almost every taste. All of them have the SafeCell technology which focuses on comfort coming from the base of the seat. In addition to this, the Britax Pinnacle booster car seat has a cover which is easy to remove, wash in the machine and use again. The material itself is great for spills as the fabric resists staining. Overall, this is one of the best booster seats you can find online with tons of reviews from users and industry professionals. The only disadvantage may be the amount of padding (according to some people) which is a little bit low. 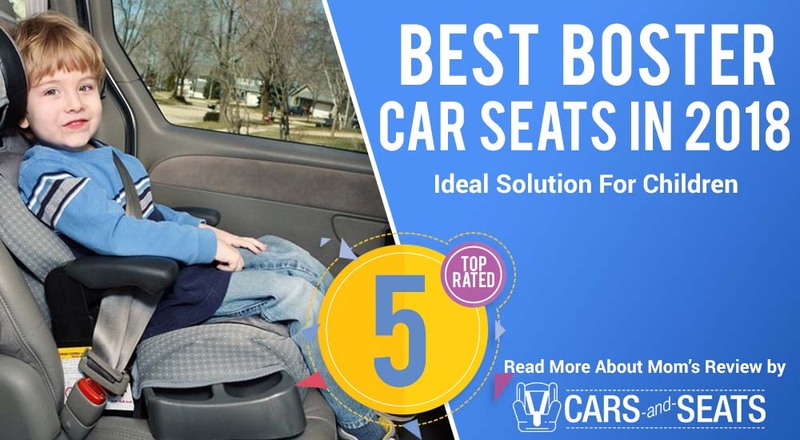 However, the model is still a favorite for many different types of children so it is definitely something to think about when you are looking for a booster car seat for your loved one. Chicco is one of the most popular brands for baby gear and equipment. The KidFit 2-in-1 belt positioning booster car seat by the brand is a top choice on the market and a booster seat that boasts with practicality. According to some users, this is a booster seat that you can use for the longest amount of time – and one that makes a great investment for the safety of your child. This is very true especially if your child is a little smaller than average – as the seat supports up to 110 pounds in the backless version and up to 100 pounds in the backed one. There are two main configurations and options on this booster car seat. It can be used as a seat for short distances (trips to the supermarket, school etc) and longer distances (road trips, journeys etc.) so that your child enjoys every trip equally. The biggest advantage of this is that your child can actually use the booster seat as a backed and a backless version. For parents, installing this seat is a breeze and adjusting it is even easier. Another massive advantage is the fact that the seat doesn’t need any headrest from your car but provides one in the upper area. Even though some users report that the model is not quite as tall as the other booster seat models on the market, it fits most of the kids nicely. There are very few complaints about the entire car seat – and the comments are mostly aimed at the quality of the model. This booster seat is among the top rated in many reviews and guides. 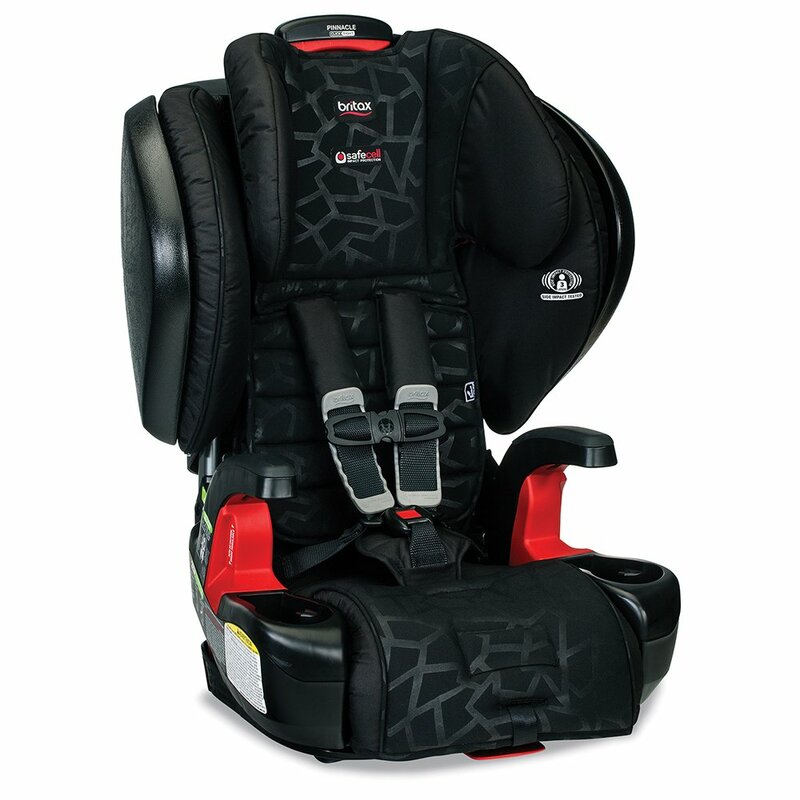 It is a fantastic option for parents who are looking for the best when it comes to safety and overall design. The design makes this one of the best looking booster seats on the market. What makes this booster car seat different from the other models is a combination of features as well as the ClickTight technology which takes the guesswork out of seat installation. 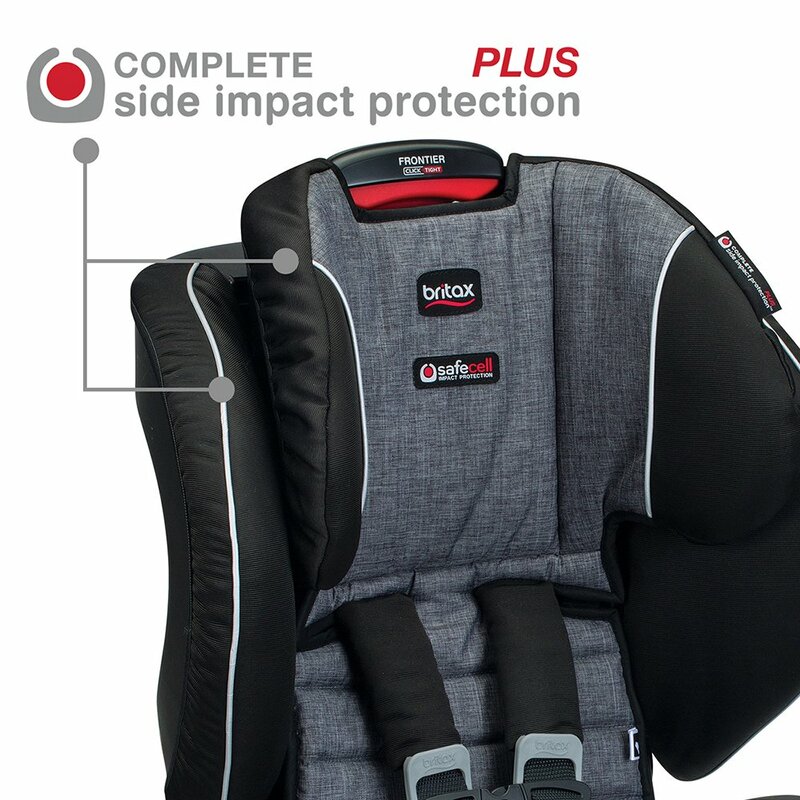 There is also the SafeCell impact protection for better side-impact safety and a higher harness height than any seat in the US with 9 different position options making this product tailored to your child’s needs as they grow. When it comes to the actual performance of this booster seat, the primary feature and main advantage is the ease of installation. In addition, this booster seat is easy to clean and has weight and height limits which are quite high which means that you can get a lot of use from it. Moreover, the heavy padding, plush materials and quality construction means that this booster seat will last a long time. Most importantly, it is one of the safest booster seat models for children around the globe. If we have to point one disadvantage, it has to be the weight – which can be a problem if you are carrying the seat up and down the stairs. 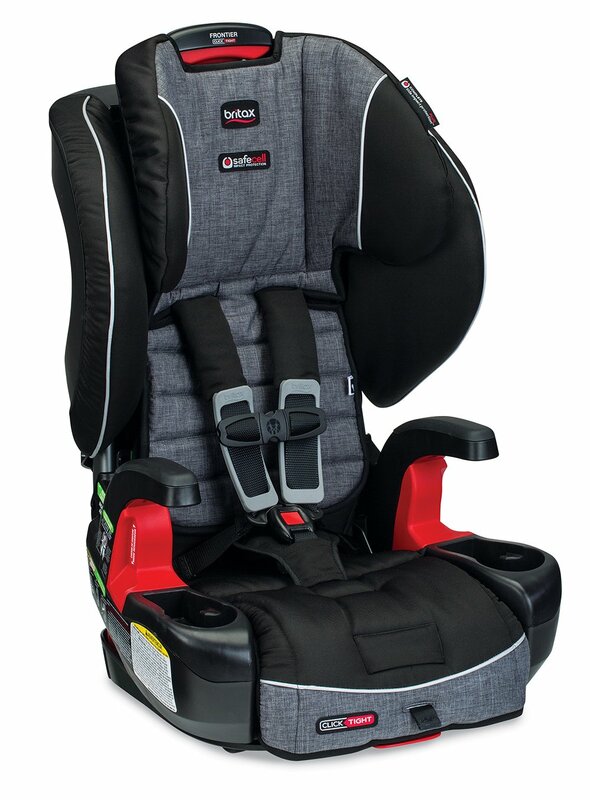 However, the fact that the Britax booster is a bit heavier than the other models is good when it comes to overall quality and safety of the product. That said, there are many customers around the globe that are happy with the product and a lot of satisfied parents. This is one of the booster seats with the most affordable prices – and a product that many parents loved over the years. As you would guess, the product evolved a lot and had a few different forms. The latest one which is the Affix Highback Booster car seat model (2017-8) is a product for children between 40 and 100 pounds and over 40” in height when used as backless. The primary advantage of this model is the LATCh system which is a secure one so that both you and your children feel safe in all types of vehicles and driving environments. You can even set the system to “self buckle” where your child can be taught on their independence. Many children are satisfied and comfortable in this seat. The biggest area of comfort is the head space which can certainly take a beating in terms of any danger. The extra padding is designed for more safety. While some parents have trouble with the installation of the model, others are perfectly happy with it because of the affordable price, amazing features and the LATCH technology which is a real show stealer here. All of this makes Graco one of the best car seat brands and the Affix Highback Youth Booster car seat one of the best car seats ever designed. If your child loves Disney and all the animated shows, probably the best way to get them into a booster car seat would be a motive from the shows. Believe it or not, the KidsEmbrace Disney Cinderella car seat makes that possible. 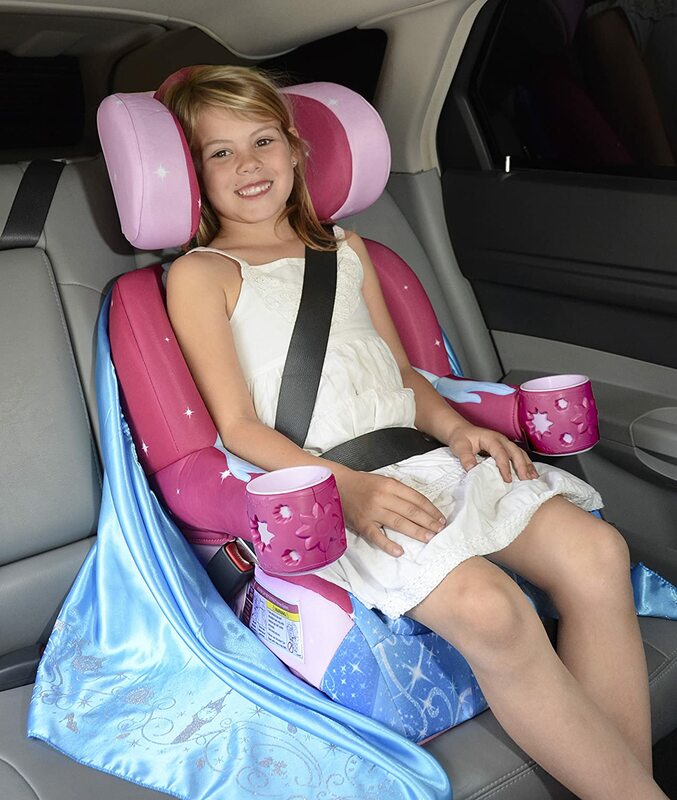 Whether it’s your son or daughter loving the Disney movies, this booster car seat is amazing because it puts their favorite character on the seat itself. There are many different options and characters to choose from (the current one we are describing is Cinderella). This results in a happier child and a car seat with a design that is at least impressive. 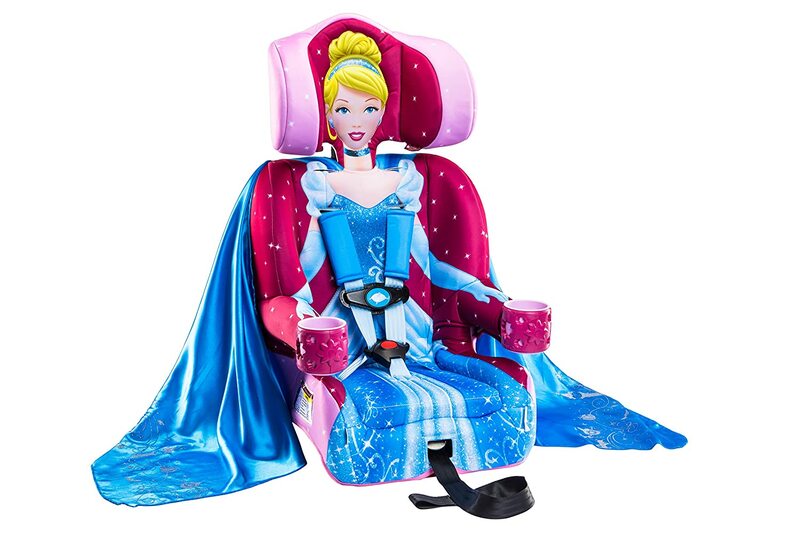 Aside from the design and the attention to detail, this Disney chair offers 2-position crotch strapping, a wrap-around headrest space and other comfort items that make it both safe and comfortable. And even if Cinderella gets stained, the fabric is easy to clean – the instructions on this are perfectly described in the owner’s manual. One of the problems of this chair, reported by some users, are the straps which can be twisty at times – especially if they are allowed to sit for some time. For many, the backed version of this Disney booster chair is better than the backless one which is something you should consider as well when buying it. In the end, booster seats are a great way to prevent your children from doing messy things in your car. However, the main reason why they sell is because of the safety features. 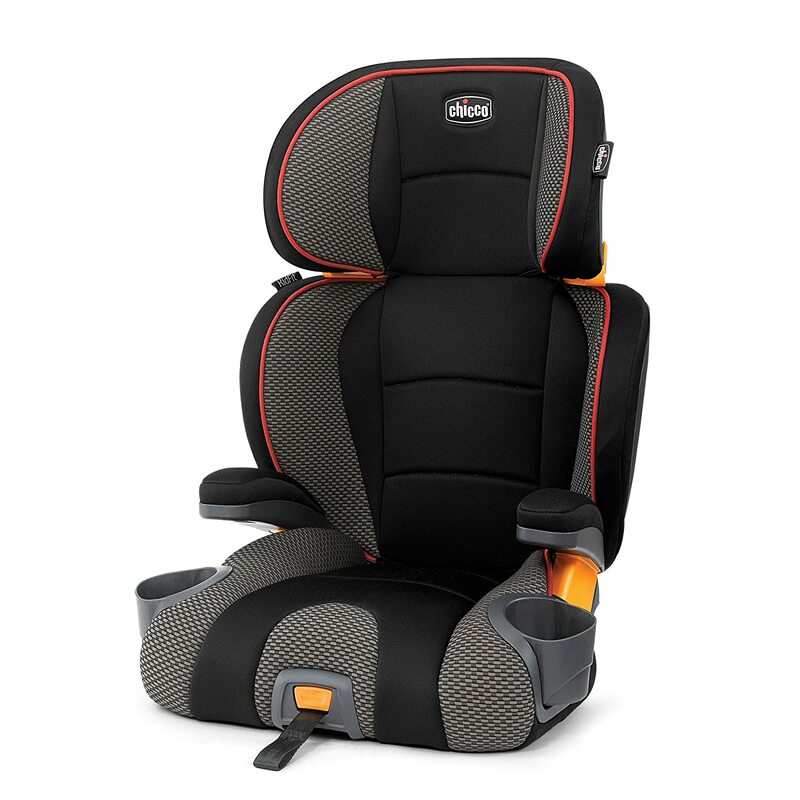 Booster seats are great for transitioning your children from the previous positions (rear-facing and forward-facing). Assuming that your child has already been in a car seat before, booster seats won’t be much of an issue. What’s important to remember for everyone is that in the US, each state has different laws on car and booster seats. So, make sure to familiarize yourself with all the rules and regulations in your area and browse through all the booster models before your child is ready to make the switch. We hope that our review helped you buy the best booster car seat in 2018 and give your children the comfortable and smooth journey they deserve!